There are many tricks to maximizing your time at Disneyland while enjoying all the magic. All it takes is some faith, trust, and pixie dust to navigate the parks with ease and make the most out of your vacation. Here are 20 of the best Disneyland tips that will help you save time and money on your vacation. 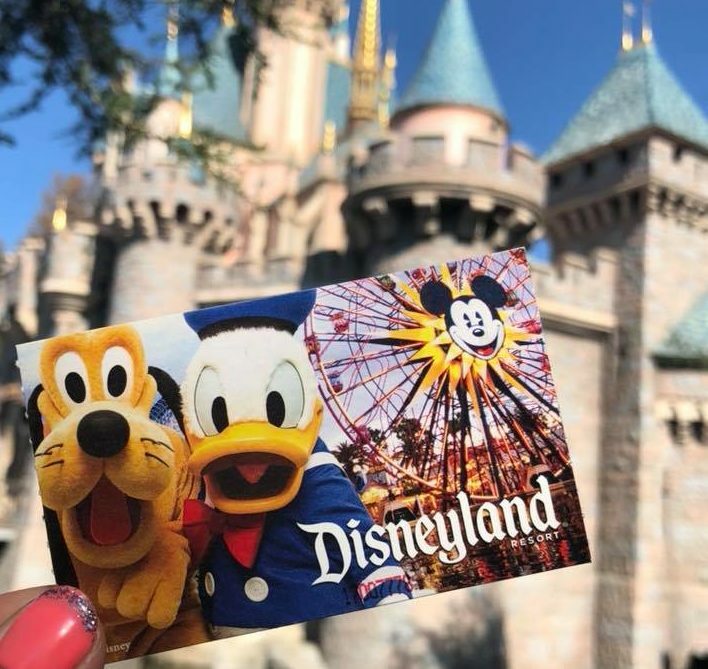 Many guests visiting Disneyland for the first time don’t realize you can actually save money on Discount Disneyland tickets if you buy from authorized sellers! Depending on the time of year, you can save up to $20 per ticket which can easily add up. You can also save money on hotels if you book through our recommended travel partner- Get Away Today. Some hotels offer select nights free, free breakfast, free parking, and other perks reserved for people that book through this awesome travel company. See my Get Away Today review here on why you should use Get Away Today for your vacation. It always amazes me how many folks come to Disneyland and never use FastPass! FastPass is a way of having a virtual spot in line so guests can spend less time standing in line and more time enjoying other aspects of the resort. When you grab your FastPass for popular attractions, you will be given a return time to come back and enjoy the attraction with far less of a wait. This is a great way to get familiar with the resort before you even arrive. Download the Disneyland app and take a look at the map of the parks so you can get an idea of where everything is. You can also use the Disneyland app to find characters, see wait times for attractions, making dining reservations, and more. It’s a must have! Set aside time before your trip to sit down and discuss what everyone wants to do. Make a general or detailed itinerary of what attractions you want to focus on when you arrive. This avoids long discussions and head scratching after you get off each ride which will slow down the whole day. Check out our Disneyland morning touring strategy and Disney California Adventure morning touring plan. 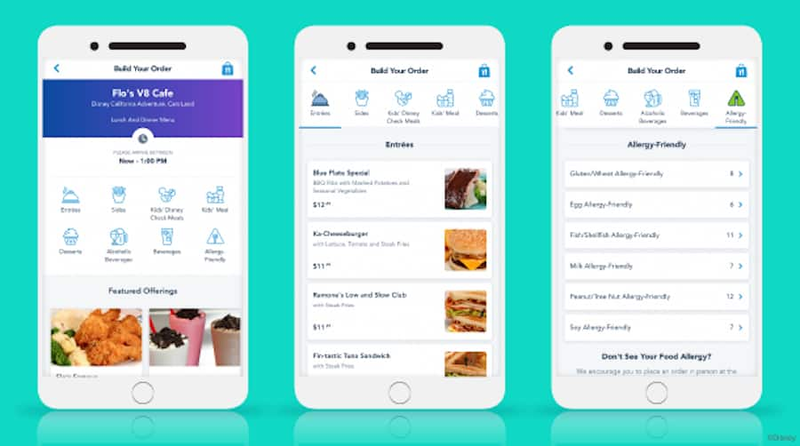 Using the Disneyland app, you can use mobile ordering at select locations so you can avoid standing in long lines. Especially for fan favorites like the famous dole whip! FastPass is free to every guest visiting Disneyland but you are limited to walking from attraction to attraction to physically pull those FastPass reservations. 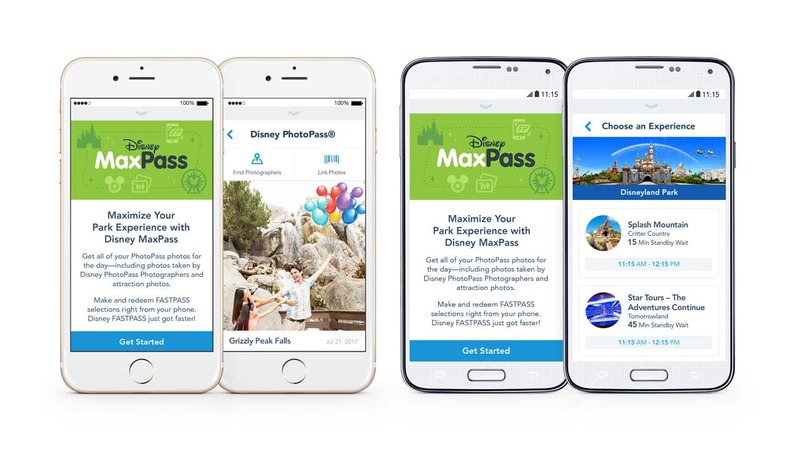 MaxPass allows you to reserve your FastPass selections right from your phone without requiring you to walk to the attraction to do it. This is great if you want to park hop or if you go back to your hotel for a break- you can keep making those FastPass reservations using MaxPass on the Disneyland app. The cost of MaxPass is $15 per person per day and also includes unlimited PhotoPass photo downloads. I feel this is a must when guests come to Disneyland! Arrive at the gates at least 45 minutes prior to the official park opening so you can get a good spot in line for rope drop! Cast members will let guests in 15-30 minutes prior to the official park opening and the entrances to the lands will be blocked off with ropes that will come down at the opening time. Being at the front of the rope ensures that you will literally walk right on to some favorite attractions. Even during peak times of the year, arriving early is key to getting on the most popular attractions with limited waits. You can ride most of the popular rides before lunchtime if you arrive this early! If you have the Target Red Card, you save 5% of all purchases made at Target. This can also be used on Disney gift cards. Nearly all locations at Disneyland take gift cards so one thing I do to save money is to use gift cards for all our dining and shopping. Saving $5 per $100 gift card doesn’t sound like much at first but if you calculate how much you may spend on dining and shopping- the savings will add up. The Target Red Card has a debit card option and a credit card. 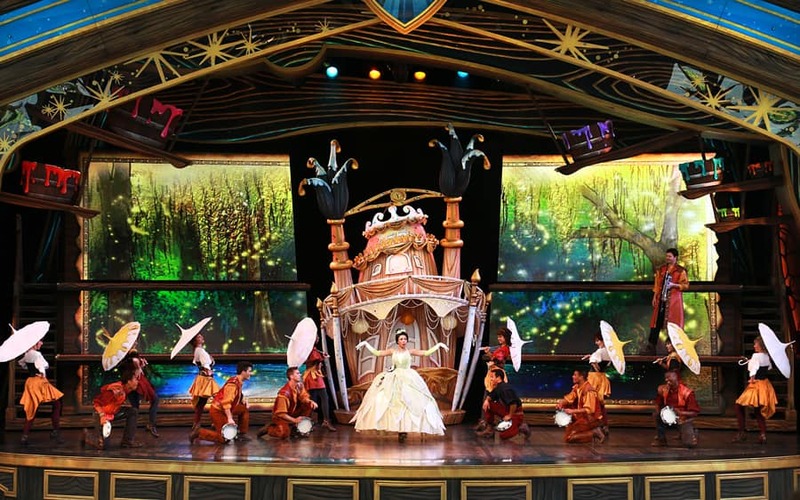 Dining packages are a way to get a great meal that comes with a reserved seating option for some of the most popular nighttime shows like Fantasmic! and World of Color. If you’re already planning at eating at one of these restaurants, adding a dining package is a great way to also get a great spot for a show too. My favorite dining package is the Blue Bayou with reserved seating for Fantasmic! We get great food and great spots for the show. This can be a pricey option but one that many guests love to indulge in. The shopping in Disneyland is great but it’s also less than great to carry around shopping bags all day. You can rent a locker if you want to store your purchases or you can save your shopping for the end of the day. The shops on Main Street stay open an hour later after park closing time so guests can shop before they leave. 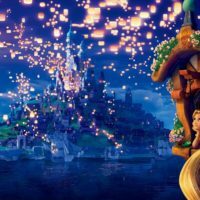 Disneyland offers a Rider Switch option for guests with small children that do not meet the height requirements of certain rides. One parent can ride while the other parent stays with the child and then they can switch- allowing the second parent to ride without having to wait in line twice. Single Rider is a great way to avoid long waits for popular attractions. If you don’t mind not sitting with your group, you can hop in the single rider line and get on the ride quicker. Cast members use this line to fill any gaps in ride vehicles. Many of the most popular rides at both theme parks offer single rider. Enjoying a character dining meal is something that I feel all first time guests should experience- especially if you have kids! My favorite is Breakfast with Minnie and Friends inside Disneyland because of the historical flair of the Plaza Inn and the variety of characters you get to see. Enjoying a character dining meal is a great way to meet characters in one setting and not have to worry about tracking them down in the parks later on. If you’re visiting for multiple days, using the afternoons to take a breather is a great way to refresh everyone in your group for the evening. Skip back to the hotel when the sun is the hottest and the crowds are the heaviest and take a swim. Disneyland is magical but it can also be overwhelming. If you’re only staying for a day or two then find a quiet place in the park to decompress for a little while and take in the scenes around you. 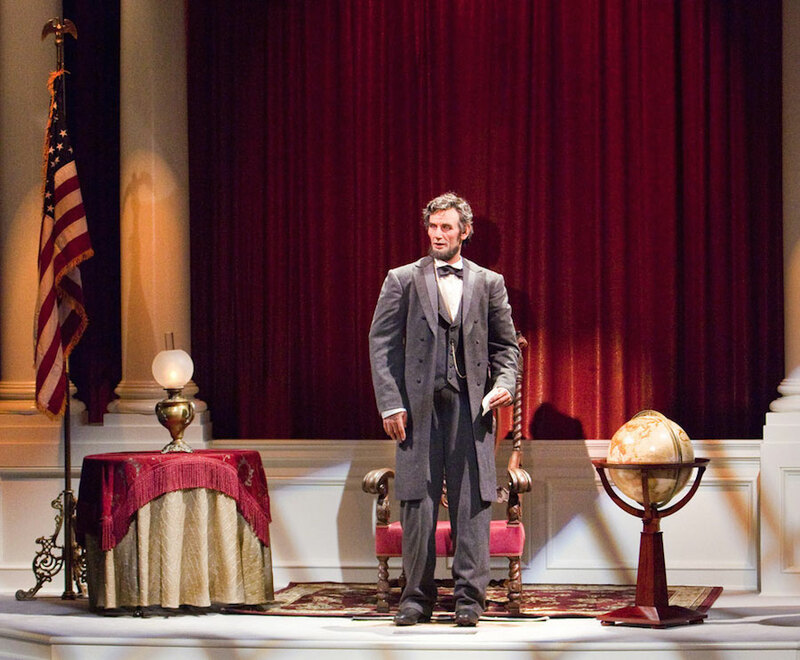 A quiet and air conditioned fan favorite break area is Great Moments with Mr. Lincoln on Main Street. Taking a break can do wonders for a group that might be overstimulated and tired when the afternoon rolls around. Guests visiting the Disneyland Resort can make dining reservations up to 60 days in advance by booking online or calling (714) 781-DINE. As long as you cancel 24 hours in advance, you won’t be charged the $10 per person penalty fee if your plans change. If you want to enjoy a meal at the coveted Lamplight Lounge or Blue Bayou, you definitely need a reservation to get a table without a long wait. 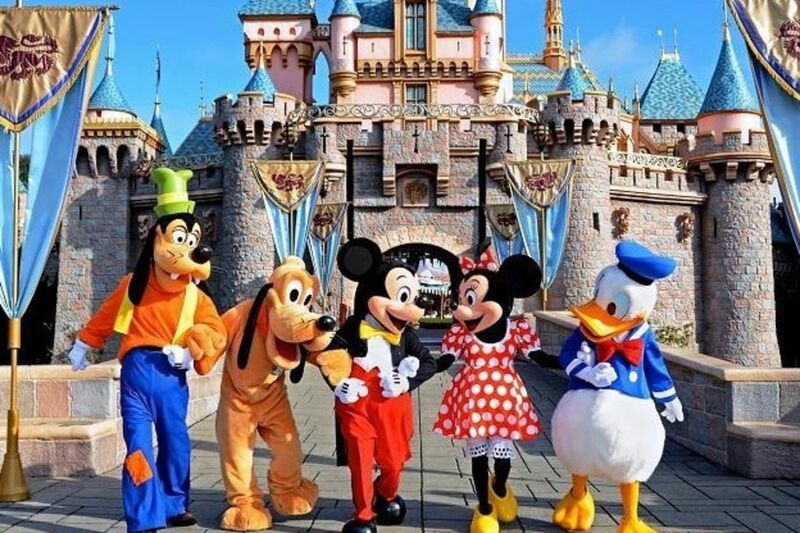 Make sure to wear clothes that you feel comfortable in because you will be getting plenty of exercise on your Disneyland vacation. It is not uncommon for guests to put in more than 8-10 miles in steps in one day at the parks. Wear shoes that are good for walking and bring a couple pairs to switch out when your feet get sore. Comfortable clothes are important too for staying cool in hot weather and being able to easily navigate getting on the rides. Make sure your kids are wearing shoes that are broken in and not brand new- those little legs are going to do double the amount of walking. 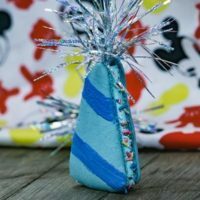 It is easy to get carried away spending money at Disneyland but there are also plenty of ways to save money along the way. Come prepared with items that will cost you a pretty penny at the parks or at your hotel like sunscreen, portable fans, cooling towels, medicine, snacks, etc. 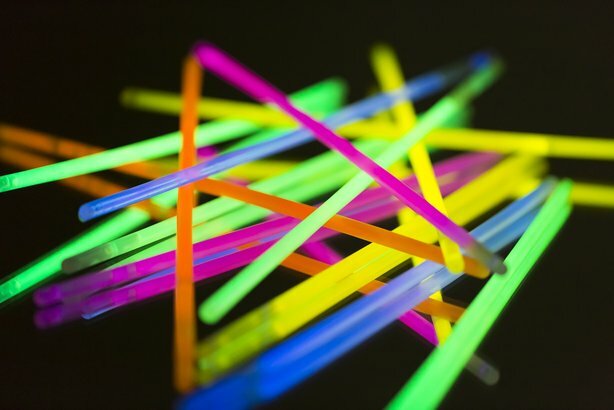 You can also avoid spending money on overpriced light up items at nighttime shows by making a stop at the Dollar Store to stock up on glow sticks and other light up toys. Keep these with you and pull them out right when the kids start eyeing up those merchant carts that come out at night. You can also have groceries delivered to your hotel or make a quick grocery stop before you arrive so you have plenty of bottled water and snacks on hand. There are plenty of awesome entertainment options at Disneyland and the afternoons are a great time to enjoy them. Spend your morning riding the attractions and after lunch go take in some shows while you wait for your FastPass reservation arrival times. If you’re looking to escape the heat for a bit, the Frozen: Live at the Hyperion show in California Adventure is set in a beautiful air conditioned theater. 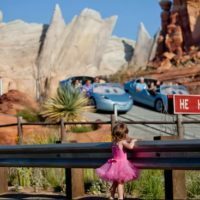 One of the biggest meltdowns you’ll see in the parks is kids realizing they don’t measure up to a ride that they’ve been waiting and looking forward to! Make sure to review the height requirements so you can prepare kids that may not be tall enough to ride. No sense having any unexpected surprises that can lead to unhappy moments. And yes, cast members will check if your kiddo isn’t tall enough! For folks visiting from out of state, you’d be remiss to not plan a day at the beach! 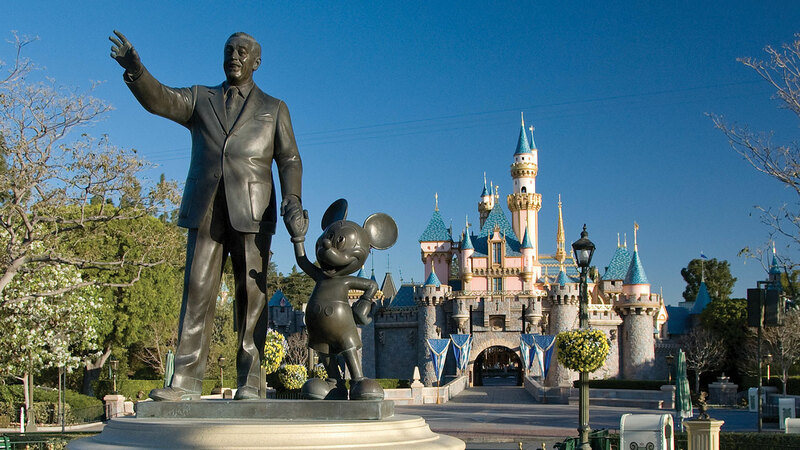 Disneyland is located fairly close to some of the most beautiful beaches in Southern California. You can easily Uber there or rent a car from many of the close by rental car services around Disneyland. Plan your beach day in the middle of your trip so you can have a nice relaxing day in the midst of the hustle and bustle of the parks. PhotoPass is a photographer service at Disneyland that all guests should utilize at least once to get that perfect group shot. You will find PhotoPass photographers at the most iconic locations in the park like in front of Sleeping Beauty’s Castle and Main Street U.S.A. If you purchase MaxPass, you get unlimited downloads of all your photos so make sure to smile for the camera! PhotoPass photographers can also do ‘Magic Shots’ where they can add some pixie dust to your pictures like Tinkerbell or Pixar characters or Cheshire Cat hiding up in a tree. There are places the the parks that will store items you have bought so you do not have to carry them around a day. Great point! You can also send the items to the front of the park for pickup at the end of the day based on the last time I checked. The folks at the Silhouette Studio were great about letting us pick everything up at the end of the day. But we usually grab a locker regardless and use that as our ‘home base’ with sunscreen, extra supplies, etc. and we store purchases in there too. If you’re going for more than 1 day, our shopping tip is to scout out what we might want over 2-3 days, then hit up World of Disney in Downtown Disney near the end of our trip and get it all at once. If you time it near the end of your day, you only have to cart the bags back to your hotel room. We’ve also taken advantage of the free storage in stores too, as mentioned above. This is usually how we do it too. Especially because I tend to get carried away if I buy ‘in the moment’ and then I’m struggling to close the suitcase!